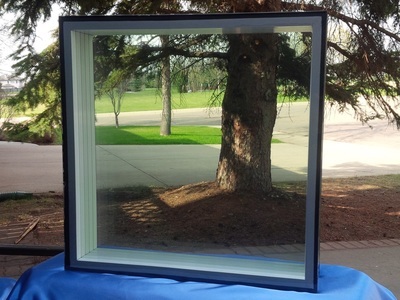 Pressure equalized - LiteZone Glass Inc.
LiteZone™ solves the problem of stresses due to changes in pressure and temperature. 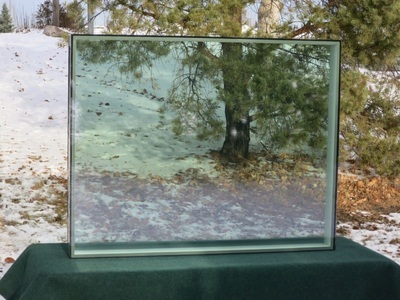 Conventional insulating glass units are limited in their ability to increase insulating values by increasing their thickness to allow more intermediate layers of glass or films. This is because of the problem of excess stress caused by positive or negative pressure that would occur within the units due to changes in temperature and atmospheric pressure. 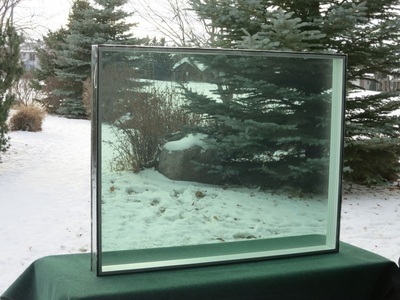 If a conventional multi-layered sealed insulating glass unit is made thicker than about 2.25", and is not pressure equalized, it will likely have excessive stress on the interior and exterior glass lites causing the edge seals to fail prematurely or even causing the glass to break. The LiteZone™ IGU design solves this problem with technology that allows the air pressure to equalize between the inside and outside of the glass unit without water vapour entering the unit. This greatly reduces the stress on the edge seals, allowing LiteZone™ IGUs to be thicker. The LiteZone™ proprietary pressure equalization system uses a desiccant filled conduit fully contained within the proprietary glass unit spacer. 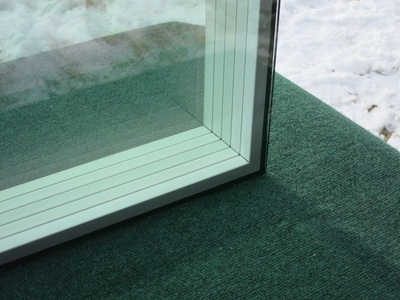 The desiccant removes and modulates the water vapour in the air moving through the conduit in and out of the glass unit. The moisture adsorption rates for the volume of desiccant within the conduit ensures that the air within the glass unit will be kept dry and the unit will be free of any risk of condensation for more than 60 years. The system requires no special servicing procedures during the life of the glass unit and LiteZone™ IGUs can be installed into frames in the same way as any conventional glass unit.